I managed to steal some time with author Terrence Roth. Terry is a serious writer of hard-line fiction. I have never met a writer so dedicated to the art of creation. Terrence tends to write with classical music in the background, a quiet office, and the result of his effort is always pure beauty. The latest Terrence Roth masterpiece is entitled “Sophie Knox.” I don’t need to tell you to go and buy it. I just ask you to stick around and read this interview. Writing is never about money, it’s about the art, and Terrence is an artist. Q) How do you feel about writing? Is it art or a pastime for you? A) I thoroughly enjoy the writing process, discovering an idea for a new book or short-story, racing to write down my thoughts, researching potential locations, and crafting characters. During the editing process, I spend considerable time challenging the entire premise of my story, reshaping key scene sequences if necessary, ensuring that each scene combines to elicit the response I had hoped for. For me writing is an art, a fiery passion that burns deep. I never get stressed when I reach a point in the story that challenges my descriptive ability – I just take a break from writing, perhaps a drive somewhere. Ultimately the issue resolves itself after I stop focusing on it for a while. Q) How do ideas come to you? Do you have eureka moments where you just have to sit down and write a scene? A) Story ideas pop into my head all of the time. There has never been a scenario where if I do something routinely the ideas flow; they’re always random and I never know exactly when inspiration takes hold. I do have several eureka moments a week. If I am working on a story, I stop and write the ideas down in an MS Word log that I have maintained for some time. If the idea comes to me while away from home, if I can write it down in a journal I keep with me, I do so. If I don’t have an opportunity to write the story idea down immediately, I craft mental scenes of the story and create a single word trigger that I recall once I’m back at home. Q) What kinds of books do you enjoy reading? A) I tend to jump all over the place when it comes to reading for pleasure. I really enjoy books in the thriller/suspense genre, crime novels, historical works, self-help/motivational guides, cookbooks, you name it. As of late, I spend a lot of time reading stories developed by Indie Authors. Prior to self-publishing my own novel and short-story, I rarely paid much attention to authors that weren’t published through traditional means – it’s not that I looked down on these writers, quite the contrary. Indie authors produce some of the greatest stories I’ve read thus far. It’s all about awareness, about the talent they bring to the table day in and day out. I truly believe that once readers understand the depth of story produced by Indie Authors, the traditional houses will need to worry a bit. Q) One of the big questions I always like to ask is this: what does it take to write a novel? A) Each person is driven to write for individual reasons. For me, I’ve always wanted to write novels and short-stories. My greatest challenge has been time, or lack thereof. My career in Finance barely allowed time for vacations, so writing was never in the cards. Writing a novel requires a significant time commitment–a commitment to do whatever it takes to craft the story – including starting over after the first few chapters disappoint. You have to be willing to let your mind go, trust in your story, and expect a significant personal investment in the editing process throughout. I’m a true believer that if the story is unique and well-written, people will want to read it. The challenge in bringing a new story to life rests in whether it mimics something that has already been written. Unique ideas are brilliant; re-purposed existing story plots are perplexing – difficult but not impossible. Q) Do you think the writing experience is harder than you expected it to be? A) For me personally I wouldn’t say that the writing experience has been harder than I expected. For the most part, it usually flows pretty evenly. What I didn’t expect necessarily was how captivating the whole process would become. I find it very hard to walk away at the end of the day; my passion for writing could easily be labeled an obsession. There is many a night when I run through scene sequences before drifting off to sleep; at times I have to go back to the office and write some notes. The single most important thing I have learned thus far is to be patient, true to the entire process but above all to the story itself. Q) What makes your writing unique? A) If I had to define what makes my writing unique, it would center on the fact that I strategically use actual events in certain instances or scene sequences, then sprinkle them with fictional outcomes. 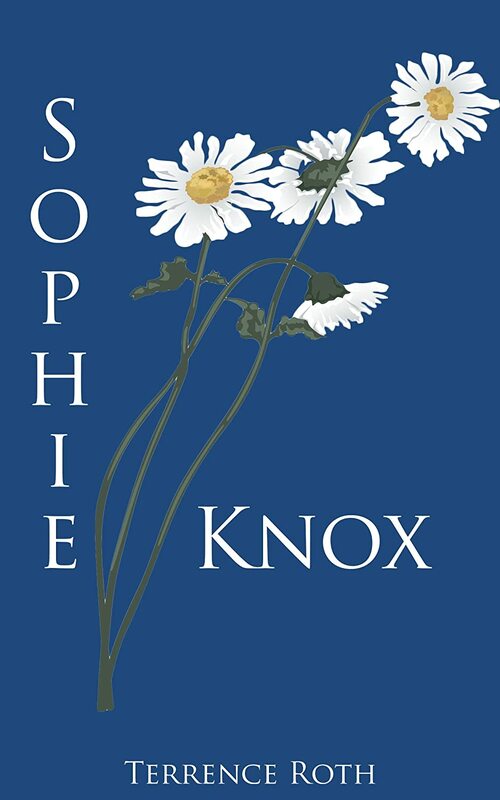 In my latest story “Sophie Knox,” going back in time to live Sophie’s life and the challenges she faced, there were significant facts that helped add magic to the story. For instance, in the second chapter, I adjusted Sophie’s age at the end of the story to take advantage of a massive tornado that actually occurred in 1925; it was a devastating event in US weather history and played well into the first sequence. As the story developed, I was able to use World War II and Vietnam to add flavor to Sophie’s life, her passion for helping others, etc. Probably the single biggest reason my writing is unique rests in my imaginative capacity. There are no limits to my ability to put thoughts together to create a great story. As a writer, I relish in the fact that no matter what, I alone own the destiny of my characters and the ultimate story outcome. It’s an experience completely unlike any job I’ve ever held before – success or failure, it’s all me. And there we have it! A short, sweet interview with one of the true artists of the book world. My advice, learn your craft and follow the art, rather than the money. The latest Terrence Roth novel “Sophie Knox” is available right now! Sketches Of Class: Nick Wale Interviews Terrence Roth | Novel Ideas | Hey Sweetheart, Get Me Rewrite!